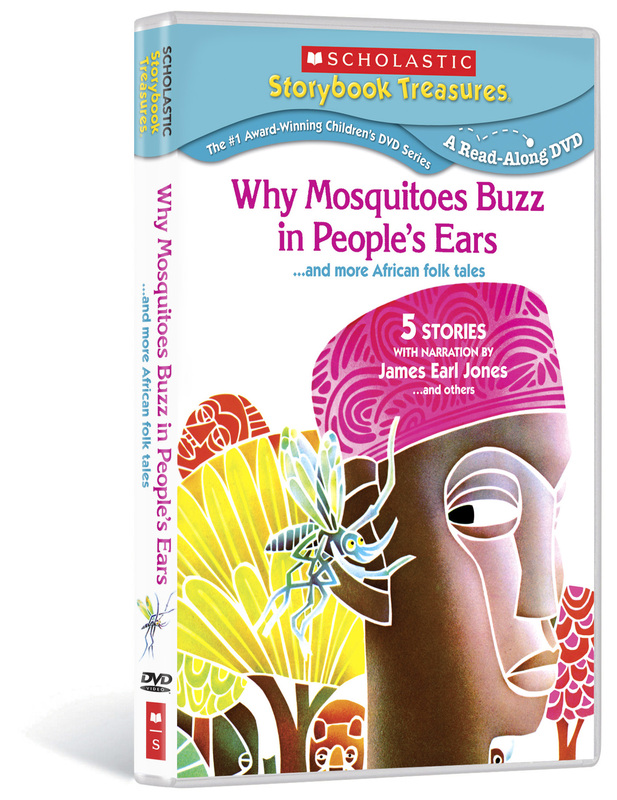 WHY MOSQUITOES BUZZ IN PEOPLE’S EARS (Written by Verna Aardema, illustrated by Leo and Diane Dillon, narrated by James Earl Jones) A tall tale sets off a chain of mishaps through the jungle grapevine – from Mosquito to Iguana to Python to Owl. HOT HIPPO (Written by Bruce Hobson, illustrated by Adrienne Kennaway) Hippo promises not to eat Ngai’s little fishes in exchange for being allowed to live in the cool water instead of on dry land. NOT SO FAST SONGOLOLO (Written and illustrated by Niki Daly) In this warm and tender story, Malusi, a South African boy, spends a delightful day shopping in the city with his grandmother, Gogo. THE VILLAGE OF ROUND AND SQUARE HOUSES (Written and illustrated by Ann Grifalconi) A young girl from the West African village of Tos movingly tells how the men came to live in square houses and the women in round ones. WHO’S IN RABBIT’S HOUSE? 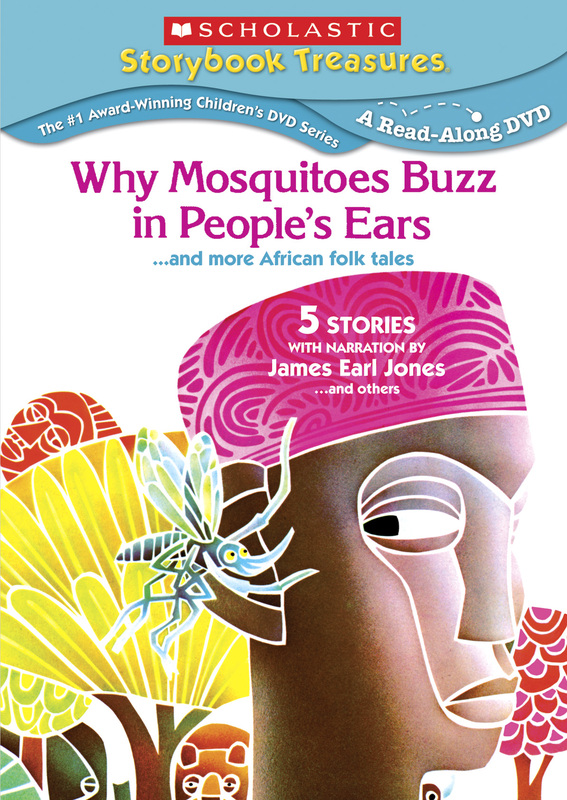 (Written by Verna Aardema, illustrated by Leo and Diane Dillon, narrated by James Earl Jones) Adapted from a Masai folktale, a rabbit can’t get into her house because a creature is hiding inside. "A truly inspired group of videos based on beloved classics of children's literature." 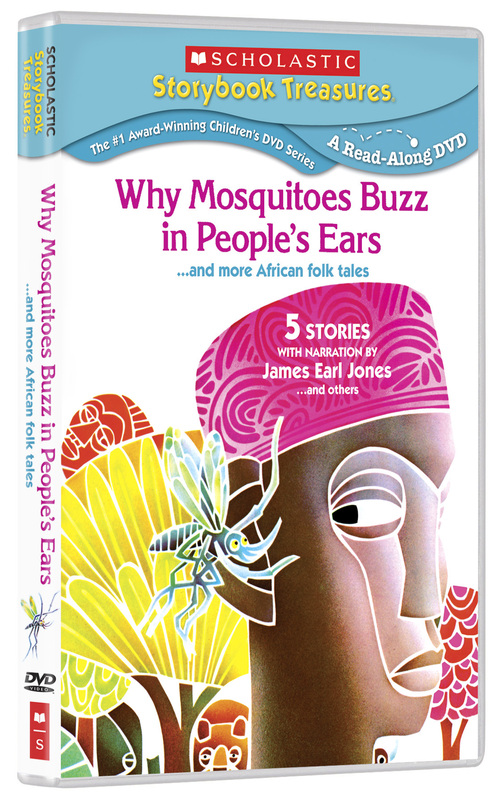 Front cover illustration from Why Mosquitoes Buzz in People’s Ears © 1975 by Leo and Diane Dillon. All titles produced by Weston Woods Studios, Inc. For non-commercial private exhibition in home only. To purchase product for public performance or classroom use call Weston Woods at 800-243-5020. Weston Woods and associated logos are trademarks of Weston Woods Studios, Inc. SCHOLASTIC and SCHOLASTIC STORYBOOK TREASURES and associated logos are trademarks and/or registered trademarks of Scholastic Inc. Compilation ©2011 Weston Woods Studios, Inc. All Rights Reserved. Marketed and distributed in the U.S. by New Video. Posted in Fairytales and Folk Tales, Scholastic | Tagged a story a story, animals, cooperation, creature, elephant, friendship, genre: animation, genre: kids & family, jungle, leopard, nyanme, problem-solving, rabbit, sky god, spider man, throne, whino, who’s in rabbit’s house?